As a city boy, ‘ traveling’ is getting out of the concrete jungle to appreciate the gorgeous Mother Nature. While arts and architecture could be impactful, it is always the dramatic, breath-taking, spectacular landscape that moved me to the core. After that, I felt refreshed and realized how tiny human being is in the universe. Of all the places that I have visited, the landscape of Iceland is definitely one of the most unforgettable – it is just so unique and incredibly diverse. The island has volcanoes, glacier, fjords, lava, and black sand beaches… You see a lot more and a lot more different from anywhere else in the world on just a small, small island in the Atlantic. The experienced tour guide would explain to us and show us a piece of big Glacial ice! The island becomes actively alive in the summer – most public transportation service and sightseeing tour only operate from June to September. It would be a better idea to visit the island during summer time to make the most of the daylight. Somehow I think the human body is like the ocean (mostly water after all), and the body works like tidal waves. In July, the sun doesn’t go down until midnight on Iceland and so my body didn’t feel like going to bed so early. On the contrary, when I was in Finland during February – times were shortened as if I have only a few hours a day! 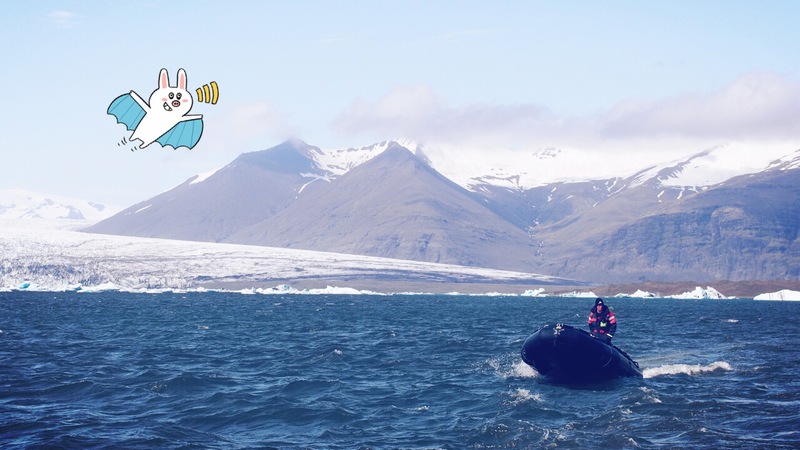 Anyway, I was visiting this amazing island during summer time and we joined a local tour with “Extreme Iceland” – AH35 14-hour tour to the South Coast & Jökulsárlón Glacial Lagoon. We got on the coach bus in Reykjavik early morning and finally arrived Jokulsarlon lagoon before lunch after seeing the spectacular Skógafoss! 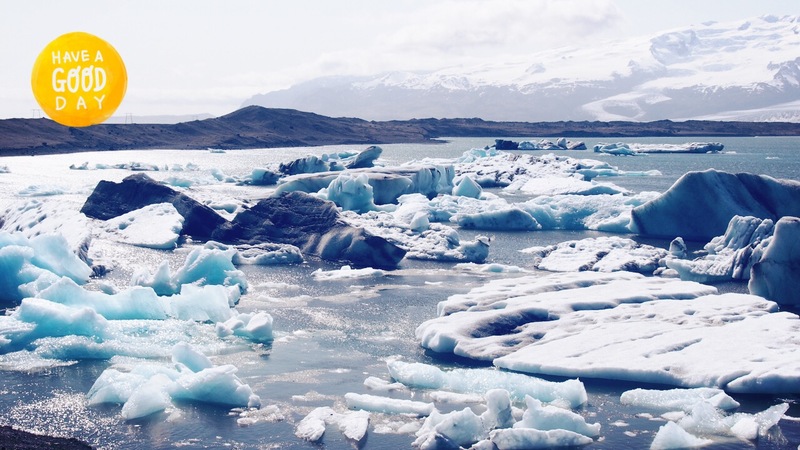 Jokulsarlon is located on the edge of the Breiðamerkurjökull glacier – it is an ancient glacier on Iceland and the warm period from the 1920s to 1965 caused the glacier to retreat rapidly, and that’s how the lagoon was formed and grew bigger and bigger. Large blocks of ice broke off from the glacier and they stayed within the lagoon as icebergs. Only on the bus, the view was quite something. It was summer and we were on shore, so it was not freezing cold although we were at the glacier. Jokulsarlon is not the biggest glacier in Europe (Although Iceland is the home of the biggest glacier in Europe) – but it is very well-known and a popular traveler’s spot. The package tour included a boat trip in the lagoon and one by one we hopped on to the amphibious vehicles and headed out to the water! One more thing, when we were taking photos around the glacier, one of the biggest icebergs collapsed. There was a deafening sound and the sight of it was spectacular!! Thanks for sharing! How beautiful are those glaciers!! Iceland is just one of those destinations that I am dying to visit! So exciting to get close to glaciers and icebergs! Glad that one calved while you were near. Never heard of this place. I think I got a little cold looking at the pictures. I hope to visit. Thanks Holly – i Hope you would enjoy it too! I’ve never heard of this part of Iceland! 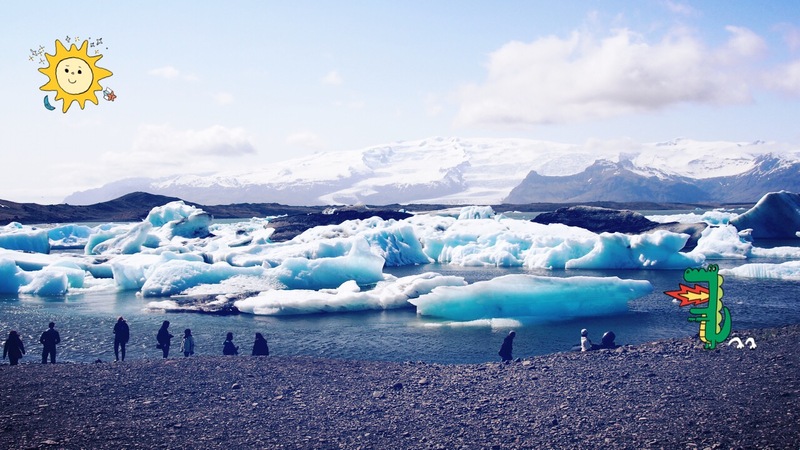 Thanks for sharing – and giving me another place to add to my ever growing Iceland list! Iceland was so unique and yes – please share after your visits! Jökulsárlón was one of my favorite parts of Iceland – we didn’t jump on a boat, but we had just as much fun wandering the black sands, and walking around the lagoon. Even spotted a few seals from the shore 🙂 So glad you got there! Great post!! I hope it’s still amazing during October. I’m going to save this for our trip, thank you!! Glad that you find this useful – it’s one of my favourite place to visit in Iceland, too!